Dr. Holger Behrsing attended the University of CA, at Santa Barbara for his undergraduate degree, majoring in both Biology and German Studies. During his senior year he undertook the UCEAP exchange program to Goettingen Germany where he completed his studies at the Georg-August University. After graduating with Dean’s Honors, he remained a second year when he worked as a research assistant in the Dept. for Molecular Neuroendocrinology at the Max-Planck Institute for Experimental Medicine. In 1995, he returned to the U.S. to attend UC Davis where he completed his Doctoral degree in Pharmacology and Toxicology. After graduating, he accepted a post-doctoral appointment at SRI International where he developed liver and lung slice models under two NCI grants that phased into additional R33 fast track funding. He was then recruited by SAIC-Frederick as a Senior Scientist to head the Predictive Toxicology Laboratory section where the slice technology was transferred back to the NCI, and a range of in vitro models were developed and applied to test various chemotherapeutic agents. 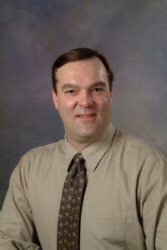 Dr. Behrsing has over 20 years expertise developing and working with a variety of cell lines, primary cells, and tissues (including the use of porcine liver slices as a basis for an artificial liver), some of which were of human donor origin. It was under the tutelage of the late Dr. Charles Tyson at SRI International that Dr. Behrsing developed both liver and lung organ slice models and where he realized the tremendous potential of predictive in vitro culture systems. The work phased into two multi-million dollar R33 fast track awards from the National Cancer Institute. As lab section head and Principal Investigator at Leidos Biomedical Research, Inc. (formerly SAIC-Frederick) recent work includes the measurement of cytokines as early indicators of downstream pulmonary toxicity, development of a medium-throughput bone marrow toxicity assay (as an alternative to the validated CFU-GM bone marrow toxicity assay), and the use of high content imaging to detect the adverse effects of anti-neoplastic agents that cause peripheral neuropathy in an in vitro dorsal root ganglion culture system. With common goals and mutual interests, Dr. Behrsing joined the Institute for In Vitro Sciences (IIVS) in May of 2014. As the Principal Scientist he is tasked with the development of an inhalation toxicology program designed to better understand the events leading to chronic pulmonary obstructive disease (COPD). The development and use of human in vitro and ex vivo models to generate meaningful toxicological data is intended to provide regulatory agencies with additional tools to better assess the risk of tobacco (or other inhaled) products. Already having made multiple invention disclosures for assay related devices and processes; Dr. Behrsing constantly seeks out symbiotic technologies that will further enhance promising in vitro systems. The successful use of human tissue promotes anticipation that the predictive value of in vitro or ex-vivo models will greatly increase once the models have been streamlined, standardized and approved in a regulatory setting. "It is said the 21st century will see amazing advances in the field of biotechnology. I firmly believe the conception, development, and pragmatic application of innovative in vitro systems that accurately predict human response will redefine currently accepted drug and product development practices." K. Amin, C. Ip, B. Sato, C.E. Green, C.A. Tyson, and H.P. Behrsing. Characterization of ANIT-induced toxicity using precision-cut rat and dog liver slices cultured in a dynamic organ roller system. Toxicologic Pathology 34:776-784 (2006). H.P. Behrsing, K. Amin, C. Ip, L. Jimenez, and C.A. Tyson. In vitro detection of differential and cell-specific hepatobiliary toxicity induced by geldanamycin and 17-allyaminogeldanamycin in rats. Toxicology In Vitro Dec;19(8):1079-88 (2005). K. Amin, C. Ip, L. Jimenez, C.A. Tyson, and H.P. Behrsing. In vitro detection of differential and cell-specific hepatobiliary toxicity induced by geldanamycin and 17-allyaminogeldanamycin using dog liver. Toxicological Sciences Oct;87(2):442-50 (2005). H.P. Behrsing, A.E. Vickers, and C.A. Tyson. Extended rat liver slice survival and stability monitored using clinical biomarkers. Biochemical Biophysical Research Communication 213, 209-213 (2003).